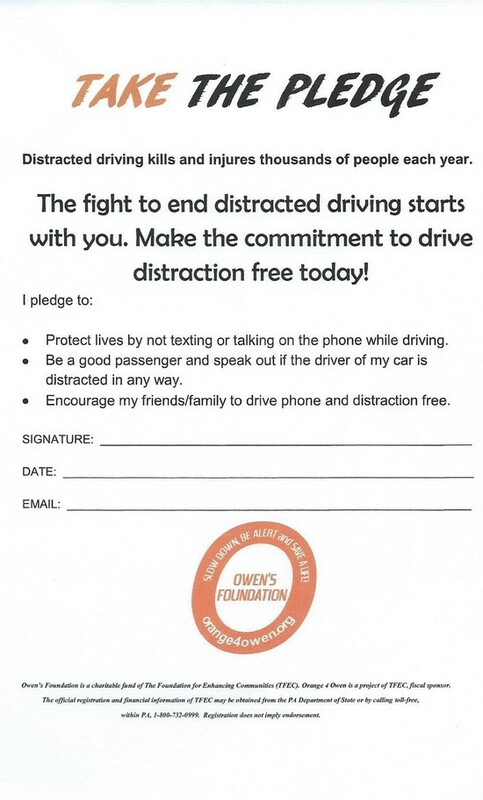 To promote pedestrian, driver, traffic and childhood safety and all aspects of community safety as well as raise awareness of the consequences of distracted driving practices. 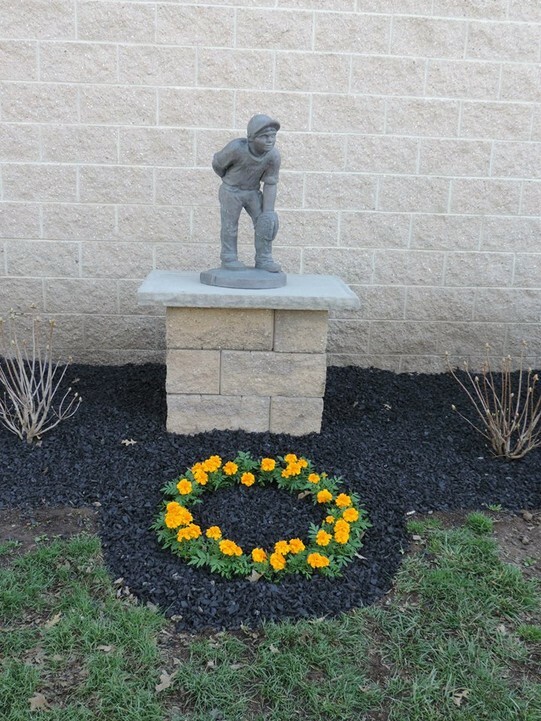 On March 17, 2011, 8-year-old Owen Cole Brezitski was killed by a 17-year-old distracted driver while walking in a crosswalk with his family in front of Bishop McDevitt High School in Harrisburg, PA. He had just attended a band concert for his sisters and to celebrate the evening's event they were headed out to get Shamrock Shakes. Owen's Foundation was born out of this tragedy. We want to share with you our goals, our aspirations, our pains and our inspirations. 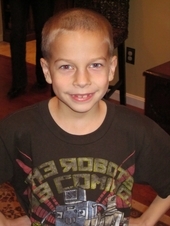 We want you to know why Owen was so dear and precious to us and the many others who knew him. He touched so many lives in his short time here on earth and his Legacy, his Spirit and his Story continue to touch thousands more. Our goal and our passion is to bring awareness to the dangers of distracted driving so that no one has to endure the pain and loss that we are experiencing. 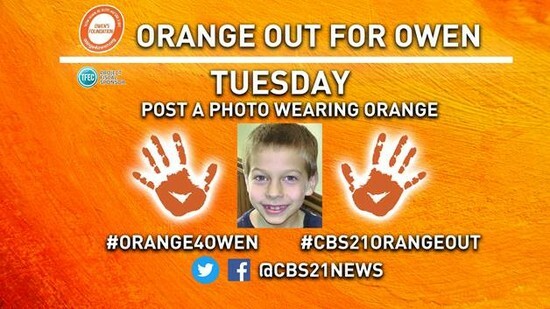 and help Owen's Foundation fight this epidemic. Owen's Foundation (Fund of TFEC) is proud to offer the opportunity for students in Central PA area to apply for grants to cover the costs of the CAIU 30 hour online drivers education course as well as the 6 hour behind the wheel driver training program. Those interested must compose a 500-800 word essay entitled "What is Distracted Driving?" and outline several possible solutions to this epidemic problem that faces our nation's roadways. These grants will be offered 3 times per year with the deadlines for consideration beginning Oct 1, Feb1 and June 1. The grantee will be notified within a week of the deadline. We were honored and humbled to stand among the 6 other awardees at the Red Cross of Central PA 2016 Spirit of the Hero event. Many thanks to Alison L. for the Community Impact Award nomination. Slow Down, Be Alert and Save a Life! Thank you Faulkner Hyundai of Harrisburg for choosing Owen's Foundation. "Car crashes continues to be the leading cause of teen deaths in the United States. NFTSD believes that reducing these tragedies can be achieved through a combination of national and ...local actions. ‘We invited retail auto dealers to take part in this campaign as we believe the retail auto industry is uniquely positioned to help make an impact that can ultimately save lives,” stated Roy Bavaro, the Foundation’s executive director. “The "Love Drives Me" campaign united dealers, local prevention organizations and community members in a movement aimed at bringing attention to this critical problem." The campaign generated over 4,500 Valentine greetings all with loving messages underscored by a promise of safe driving. 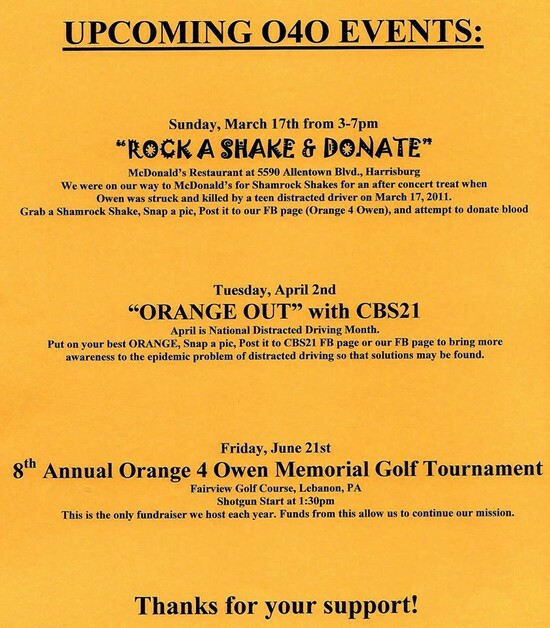 The top grant of $5,000 was awarded to Owen’s Foundation, both a charitable fund and project of The Foundation for Enhancing Communities, whose mission is to promote pedestrian, driver, traffic and childhood safety and all aspects of community safety as well as raise awareness of the consequences of distracted driving practices. 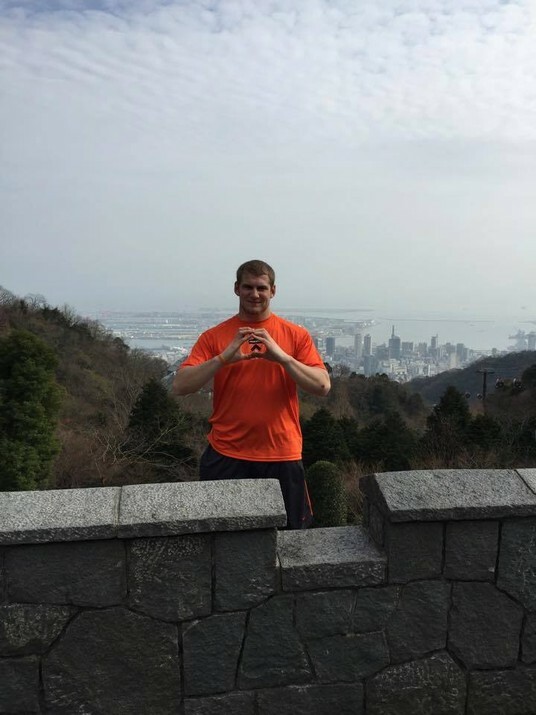 Owen’s Foundation was nominated by Faulkner Hyundai of Harrisburg, PA.
Faulkner Hyundai of Harrisburg is overwhelmed by the support and love from our community for Owen’s Foundation,” stated Chad Berger, General Manager. “The safety of our youth is paramount. We are proud to have been a part of this campaign and look forward to future opportunities to partner with National Foundation for Teen Safe Driving.”"